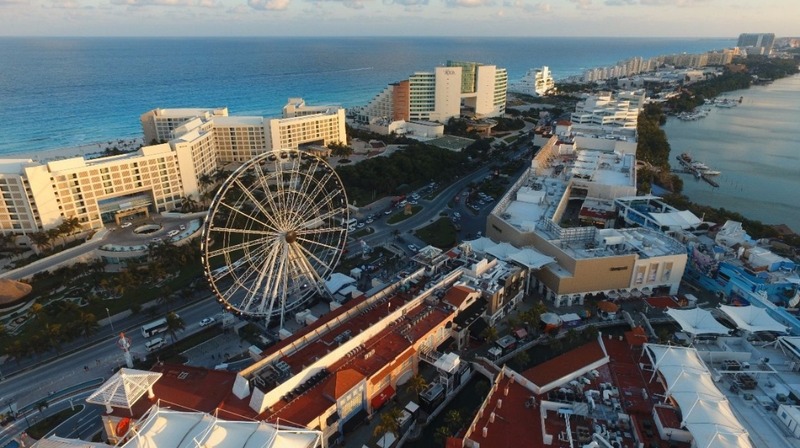 Cancun is a city that grows more every day, and with it, the amount of highlights that attract the attention of more and more tourists. We know that on your trip through this incredible destination you will want to see everything you can, therefore you cannot miss the opportunity to see the best landscape of the Hotel Zone and the Nichupté Lagoon of Cancun from La Isla Cancun. This spectacular structure is 60 meters high and has 42 gondolas made of fiberglass and acrylic with a capacity for up to 6 adults, as well as air conditioning. In addition, they have a VIP gondola with greater comfort and visibility, since it has a glass floor. Before entering the gondolas, you must line up on the side rails, where an operator will give you specific instructions on the way the attraction works. Surely as you read this article, the fear of heights or claustrophobia is crossing your mind, but there is nothing to fear, the gondola has a direct communication button with the control cabin, so at all times you can request to be taken back to the ground. 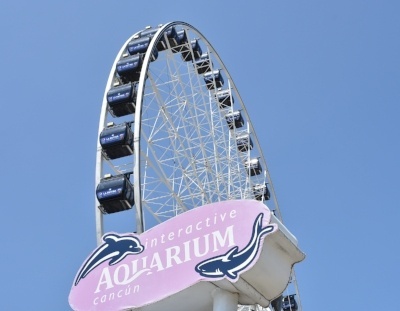 The opportunity to see Cancun from another perspective is impressive and a truly unique experience, especially since it is in the heart of the Hotel Zone. For 30 minutes and at any time you choose, an incredible landscape is there waiting for you. The Great Ferris Wheel Cancun offers you different perspectives and a different chromatic range, depending on the time of day. In the morning, you will be able to see different shades of blue in the Caribbean Sea; in the afternoon, you can see a paradisiacal sunset in the Nichupté lagoon and at night, you can observe the stars and the light show of the nightlife that happens a few kilometers away. You can find this new hot spot in Plaza La Isla Cancún, one of our favorite places to spend an incredible day. 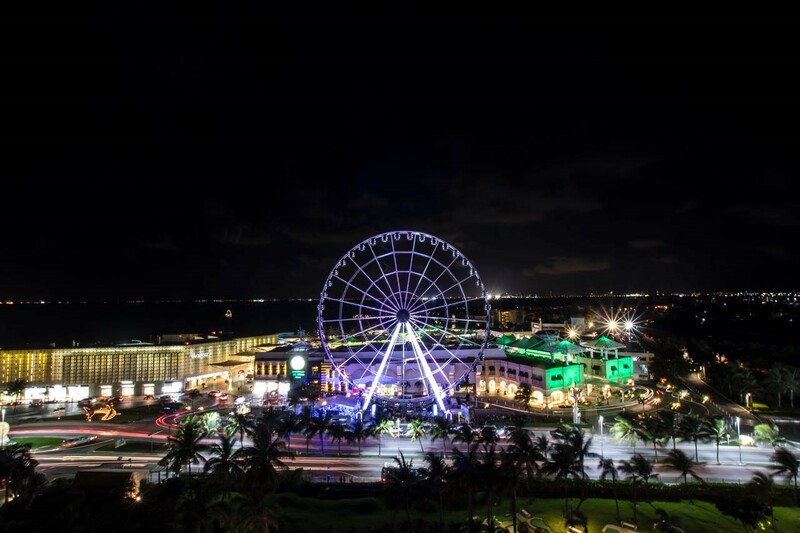 Walk through each of its brands, eat in one of its exquisite restaurants, visit the wax museum and swim with dolphins and to end with a golden lock, observing Cancun at almost 200 feet.